"Utterly different in feel and texture to Ravel’s celebrated orchestration of Pictures, Peter Breiner demonstrates a special empathy with Mussorgsky’s startling world of Romantic primitivism." "... a well filled disc ... the two suites are a very substantial bonus ... playing standards are exemplary throughout. The orchestra clearly enjoyed playing for Breiner and the recording is bright and punchy. Overall this is a worthy addition to the Mussorgsky discography." 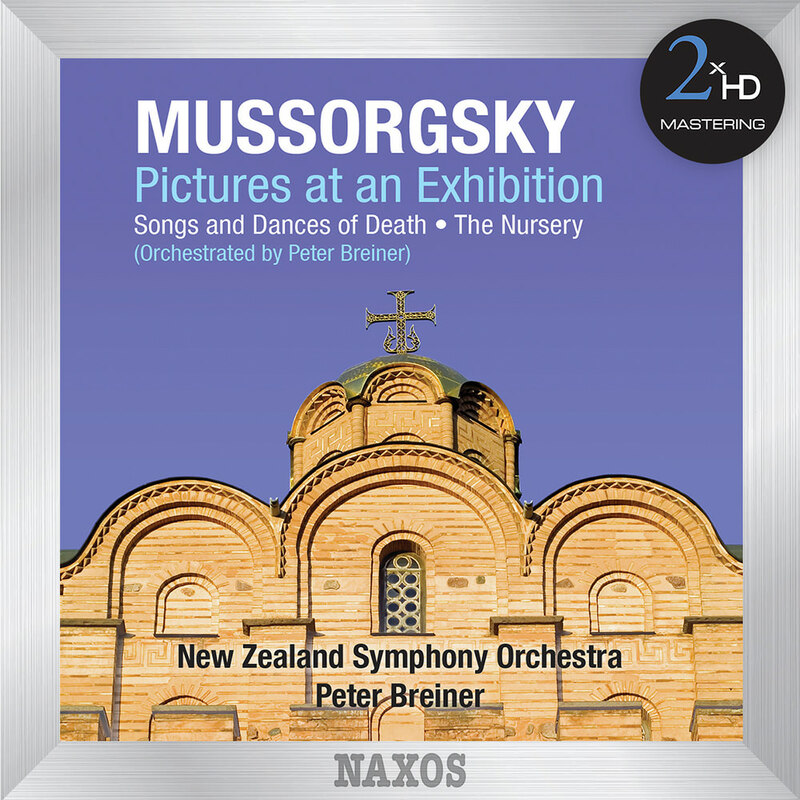 Peter Breiner both conducts and orchestrates this exciting performance of Mussorgsky's Pictures at an Exhibition by the New Zealand Symphony Orchestra. These piano pieces have been orchestrated by numerous composers, with the version by Maurice Ravel being the best known. Of his new orchestration featured here, Breiner explains: "I was not trying to recreate Mussorgsky's orchestral sound, but actually to create a contemporary sound. I wanted to create it without using a lot of unusual sounds and to stay within the limits of the traditional symphony orchestra with a substantial expansion in the woodwind and percussion sections."